Lovely photographs! You look so beautiful and the dress is great! Great pics lady and lovely beanie!!! http://myladytrends.blogspot.com.es/ NEW POST!! Louis Vuitton presents.... Don't miss it!! Aha these photographs are so fun. I like the colour of your beanie and those shoes are precious. This touch of pink is perfect! I love beanies! and this one is so cute and the way you wear it so original:) I've followed your blog with bloglovin! So adorable.I love your hat and flats. I see perfection. 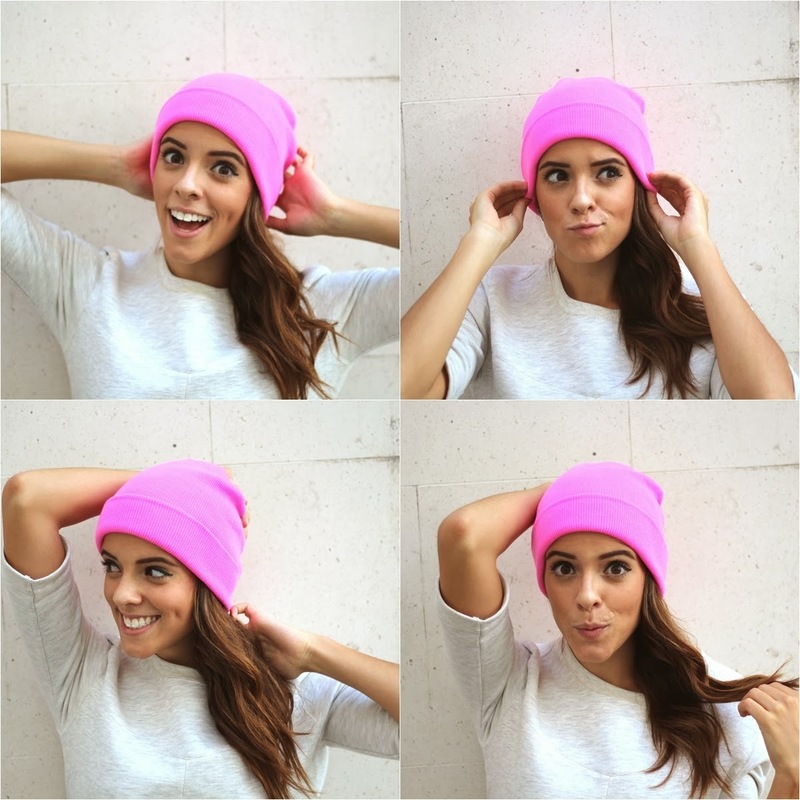 This beanie is very cute, I loove that colour!!!!! Desde já obrigado pela tua visita no meu blog de fotografia, é com enorme prazer que te receberei por lá sempre que queiras. E quero felicitar-te por este cantinho, está minimalista, fácil de navegar e cheio de moda por cá. Tive gosto em "ver-te". Vou seguir-te. E esse gorro rosa, adoro!!!! You are the most beatiful, stylish woman i've seen in the whole internet. Love the first shot and the upside down shot! So cute! The beanie looks great on you! I find I just can't pull them off very well. Love that you've gone pink too! This outfit is lovely, but what love more is that you're smiling on photos and they are full of energy! Here is also something about fashion in loose style, check me out!